Patients with pain and functional impairments frequently undergo an escalation of interventions. Did Silicon Valley thinking partially break the chronic pain barrier? PhotoMed Technologies’ team wondered, why not end pain rather than “manage” it? Maybe we should invent a new algorithm aimed at restarting normal functions? You might be wondering, what would the end of chronic pain look like? 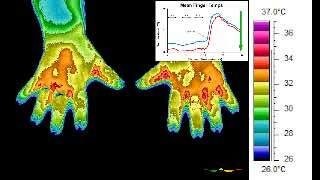 Figure 1 - Colorized temperatures of hands warming. Susan (not her real name) had CRPS with painfully cold hands. Three two-minute treatments with PhotoMed’s new device prompted warming as if on cue. The operator observed warming that began at about minute 10. Additional treatments were not needed for the visit. The logic of the algorithm is the same as for medications but 1000x times quicker. Different however, for the therapeutic aim is to end rather than “manage” pain and impairments. Which would you rather experience? Does the return of homeostasis account for improved function continuing after therapy ends? Does “chronic” mean that homeostasis is stuck and waiting for a signal? 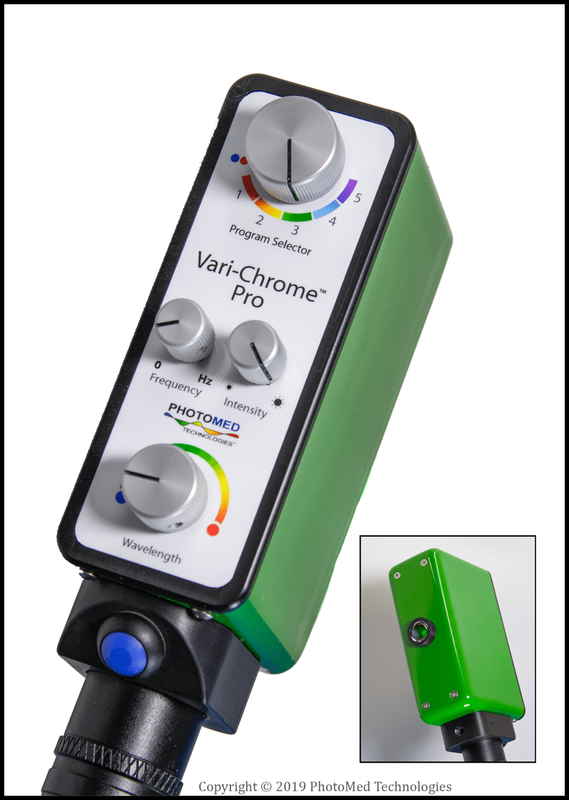 Does PhotoMed’s Vari-Chrome® Pro provide that signal? What else can the the algorithm and PhotoMed’s device accomplish? The therapy doesn’t work for everyone. It’s only about 1 in 3 real-world people. But that’s a whole lot better than zero. PhotoMed’s new algorithm applies the same logic of tr, but quicker. Minutes instead of hours. Encouraging, the practitioner could observe when the therapy worked for people with painfully cold limbs. When the IR therapy worked, the patient’s cold hands or feet warmed as if on cue. The warming predicted possible later pain relief. Thermal imaging showed warming in graphic details. Feedback lets Silicon Valley operate ever faster. The warming response frequently predicts reduced pain by people who endure complex regional pain syndrome (CRPS or RSD) or diabetic neuropathy. The therapy prompts a bilateral response that can relieve pain that has spread across limbs. Unfortunately, they had only more of the same infrared rays if there was no warming response. And, with the selection of 240 different wavelengths. The patient needs only one “right” wavelength to get going again. Or, is it two wavelengths? Or is it a sequence? Why would we expect everyone to respond to the same protocol after trying interventions without success. 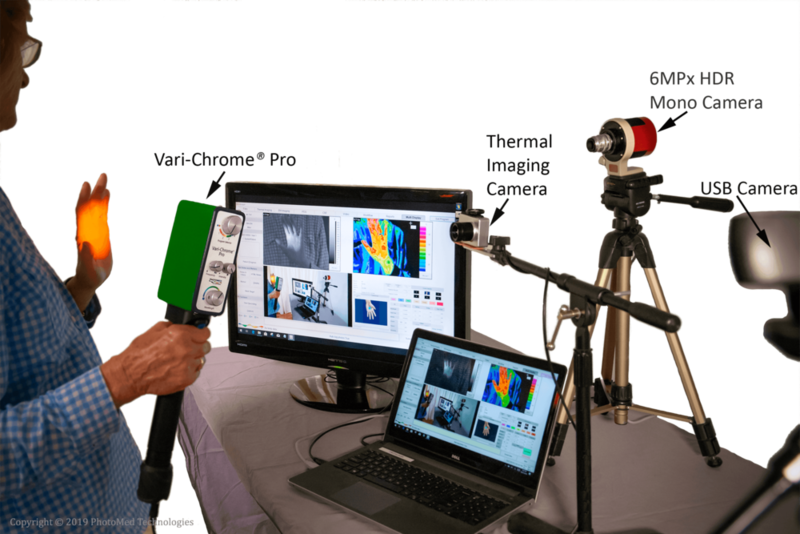 Thermal imaging, red is warmer in Figure 1, tells the new story. Practitioners now have new tools. The algorithm is non-invasive and utilize the latest measuring, computing, and AI technologies. Feedback from observed responses supports adjustment decisions 1000x quicker than existing guidelines and protocols.